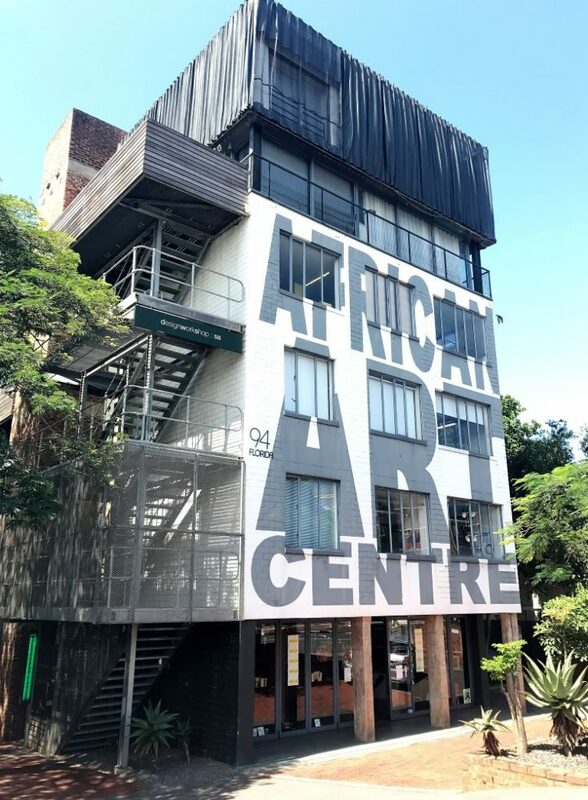 The KZNSA Gallery: founded in 1902 as an artists run space, it now functions as Durban’s most important contemporary art gallery, with a shop providing local only craft and design. It is one of a group of organisations which has taken on its municipality for its lack of support. Durban (or eThekwini),South Africa, has been in the news several times in the last few months. Questionable decisions were taken relating to the expenditure of public money for cultural projects at a local level. Considering the challenges faced by cities in South Africa to effectively meet the myriad complex needs of its population, culture and its potential for sustainable development, provides a useful analytic lens. In this piece we look at the ‘what and why’ and make recommendations for improving cultural governance to ensure culture is mobilized more productively for city making. There has been increasing dialogue about the mobilisation of culture for the sustainable development of cities and its positive impacts - socially, economically, spatially and culturally. On the 3-5 April 2019, the third Culture Summit exploring these issues will be held in Buenos Aires. Most of the issues being discussed relate to cultural policy and the ways in which cities can improve how they work with culture in making cities more sustainable. Topics discussed will include: gender perspectives, cultural and public spaces, technology and data, sustainable cultural tourism, community engagement practices, building social impact at scale, how to engage communities in cultural policy implementation and developing public-partnerships. Hence there is a strong focus on the issue of cultural governance, rather than simply the role of policy or government’s role, recognizing the importance of engaging non-state actors as well as exploring areas of indirect cultural influence. So what has been going down in Durban and how can thinking about cultural policy, cultural governance and sustainability help guide politicians, officials and stakeholders in ensuring a better city for its citizens. Are there opportunities for a greater involvement of civil society and cultural bodies in this process? One of a plethora of new musicians growing the genre of Gqom which has originated in KZN and especially Durban. eThekweni is in the province of Kwa-Zulu Natal (KZN), a critically important province, associated with the county’s most widely spoken mother tongue language - Zulu (English is more widely shared). It is a region proud of its major ethnic group's cultural heritage and famous for its warrior king, Shaka. But this pride is a double edged sword. The area is a stronghold of Zulu nationalism, sparking clashes with the ruling party in the lead up to first democratic elections, with sporadic violence and political assassinations since then. Yet KZN has a been a leader in influencing creative expression in South Africa - music emanating from it has historically contributed significantly to the development of music in the country and continues to do – most recently with Gqom. The city has however attempted to capitalize on its diversity, recognizing the contribution of Zulus, Indians and the descendants of its white settlers. It has the largest "Indian" population in a city outside of Indiathe result of two large migrations of indentured and "passenger" Indians from the mid 1800s to early 1900s. This has brought positive impacts to the diverse cultural life of the city and to the economy, but their presence has not been without tensions from as early as 1949 right into the present day. Durban remains significant in the country as a major manufacturing hub, one of Africa's busiest ports and as a well-known local leisure destination - helped by a warm to hot climate throughout the year and excellent beaches. To raise its profile further and to attract international tourists and investors, it has invested heavily in events over recent years. This has seen it successfully host major international and local events, much boosted by it having South Africa's first major convention centre. A number of the events are cultural in nature. Thus tourism, events, its Zulu heritage and the city's unique diversity have been major aspects of the city's economic development strategy. In this respect it is similar to many cities internationally who have focused on promotional drivers to further urban development. But what of its current spending in culture? Has this helped its urban strategies? Culture is not a constitutional mandate of local government in South Africa. This speaks to the South African context in the early 90's where neither cities nor culture had the same level of global attention they do today. Cities in South Africa then, and to a large extent still now, were considered as "machines for living in" and their role was seen as purely technocratic - providing infrastructure and basic services, while provinces were seen as the providers of "cultural services". Only Johannesburg at this point had any kind of significant traction in working with culture, and had a Director for Culture. A handful of cities in the country did however have, either museums, orchestras, theatres or some history in funding its local arts bodies - this includes Durban, which supported arts and heritage in different ways. Over time a number of other cities have begun to provide cultural infrastructure or services. This includes the likes of Nelson Mandela Bay and Tshwane, but few have developed a broad cultural policy, except Cape Town (which policy appears not to be active and reportedly going through "revisions"). The big issue though does appear as to where in the municipal system to place culture and what prominence to give it in city making. Since the discourse about culture in cities in South Africa is largely absent, despite an increased appreciation of cities as drivers of national change strategies, culture remains low in the priorities of cities, with little influence. Where specific departments exist, these are often poorly funded. reneging on promises to fund 17 cash strapped arts and heritage non profits who play a key role in the cities cultural landscape (instead shifting a large amount to its classical orchestra). These are all projects arising from the Department of Parks, Recreation and Culture, whose controversial director Thembinkosi Ngcobo, has been blamed for the R25m decision to fund the music project with former president Zuma, an announcement which the Mayor retracted only after extensive public outcry. Ngcobo recently responded to concern by arts and culture bodies by suggesting they need to find funding elsewhere as it was not the responsibility of government to provide ongoing support for cultural bodies. In this respect he is technically correct, government has many different stakeholders with needs and the money which is allocated under "grant-in-aid" could assist. But considering the challenges being faced at a national level with financing (an ineffective National Lottery Distribution Agency and relatively limited arm’s length funding available), it is a challenging situation when many key bodies face closure. The role being played by many of these very long standing organizations (one over a century old), further needs to be taken into account. How do they impact on the city positively and what would the city gain in its promotional drive by supporting them is a question that needs asking. Why does just one organization, which appears to have significant patronage and influence, receive support but others do not? What value does it offer to the city in its broader strategies and what data backs this up? These are considerations that could be partially dealt with through a cultural policy, which explains the reason why the city chooses to invest in and how it values culture. How the policy addresses the problems faced in the city, what actions it will take to address these and more importantly how this talks to the vision of the city for its people i.e. identifying the kind of city Durban hopes to become into the future, is critical. Without a clear framework for making decisions about the allocation of resources - human and financial - to speak to its broader vision, there is a real danger of politically motivated decisions being taken and for there to be a lack of democratic accountability to citizens and their real needs. Images from the Phansi Museum in Durban containing a unique collection of beadwork, pots, baskets and more, many of which are from the KZN region. It has been supported privately and was developed by an architect Paul Mikula. There was an attempt at a local cultural policy for Durban, written up in 2015, but the process seems to have got stuck since the departure of the then Deputy HOD Guy Redman, who was the key champion of the project. As it stands the policy talks primarily to the creative economy - very little is said about heritage and everyday culture and the political implications thereof. Importantly, it offers no clues how to deal with the invariable tradeoffs that need to happen with local cultural policy. Theorist Franco Bianchini suggests there are four key "dilemmas" that arise when decisions have to be made about urban cultural policies. These are to what extent is the policy going to focus on a) the urban centre vs the periphery, b) inclusion vs "gentrification" (linked to the city's economic model), c) consumption-orientation vs production-orientation, d) public expenditure, and support for structural vs ephemeral activities. There are critically important questions for Durban, and the last two are especially important when one considers the city has an events based and tourism strategy. Whether these questions have been asked is unclear. Another theorist, Throsby, suggests a key choice to be made by government's developing cultural policy is to what extent will the state be "an architect" or "a facilitator". In other words will government design the ends or will it create the process to allow its citizens to shape the ends. The draft policy and to a large extent the eThekwini local government's own response suggests the state as architect. But in contexts where the state is challenged by many demands, as is the case in South African cities, where there are high levels of poverty and joblessness and there is significant informality, it is important for government in its role as a developmental state to build greater partnerships with its key stakeholders, to see them as allies in making their cities, recognising the knowledge and constituencies they bring, rather than viewing them as financial burdens. This speaks strongly to global trends, including in the global South, which has seen greater levels of participation from cultural role players, with the state enabling this relationship with formalised partnerships and space. There is a strong case to be made in Durban for revisiting the development of its local cultural policy, exploring especially the ways in which cultural governance is approached – involving cultural and citizen groups in an ongoing dialogue about the city. its meanings and how this is expressed. This has value for the city's existing strategies for economic development, but it also for its broader challenges - social, spatial and cultural. If Durban wishes to become a city that serves its locals in an inclusive way and improves their quality of life, while also attracting external resources, then local government needs to look at its developmental responsibilities and the issue of sustainable development. This would require it to examine its decisions in the light of ends and means. It is therefore important for it to develop a more supportive cultural governance framework which draws on its key stakeholders, as required by law, and which has tangible and measurable benefits. If local government is failing in this respect, it's incumbent on its cultural role players to organise (as those impacted by the recent funding decisions have done) and to use the democratic process on one hand to not just hold it accountable, but to actively help it understand what practical steps it could take to improve. This would mean shifting from demands for funding to making the case for culture's vital role in sustainable city making, expanding its influence beyond narrow institutional visions to one which could facilitate shaping Durban’s long term vision of itself, for all. 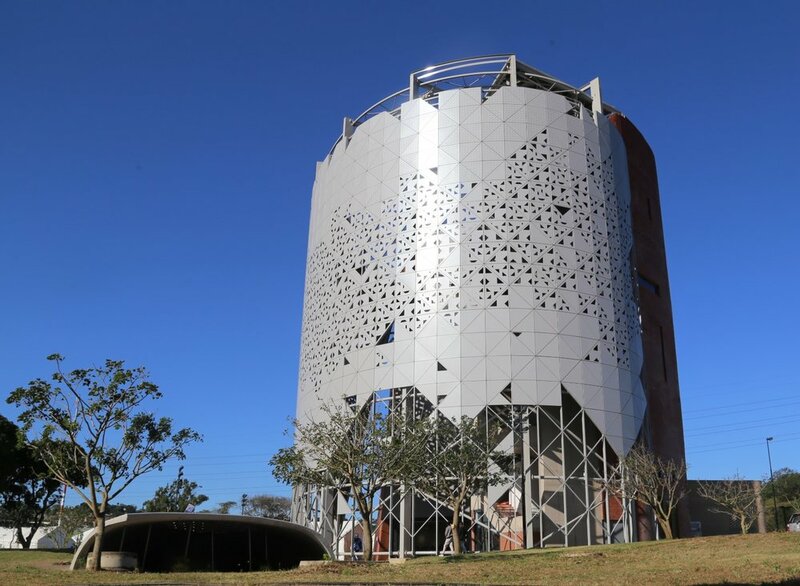 But as Matthieu Maralack’s forthcoming thesis on the cultural policy making process in Durban suggests, without an internal city champion who is prepared to build internal and external buy in and to fight for the states developmental role, it is not likely that such a policy will see the light of day.